More than a few groups of birds around the world have been given names with wren in it, almost as if the sight of a very small and active bird automatically associates with the small Winter Wren of England where most of the namers originated. There are antwrens of South America, wren-babblers of South East Asia, the New Zealand wrens and the multitude of scrubwrens, heathwrens and fernwrens of Australia. On the whole they tend to be as generally drab when it comes to plumage as the true wrens of the Americas and Eurasia. But there is one exceptionally brightly coloured exception to this, the fairy-wrens of Australia. Fairy-wrens are part of the Australian family Maluridae, which also contains the slightly drabber emu-wrens and the desert specialist grasswrens. They are among the most stunning of Australia’s native birds, and unlike so many highly desirable attractive species for the most part the fairy-wrens are easy to see in the correct habitat. Better yet, the correct habitat is usually not hard to find. I was staying in the northern Sydney suburb of Balgowlah, and not five minutes from my grandparent’s house was a patch of natural bush (which I will talk about next week), where I daily saw at least one species, usually two. 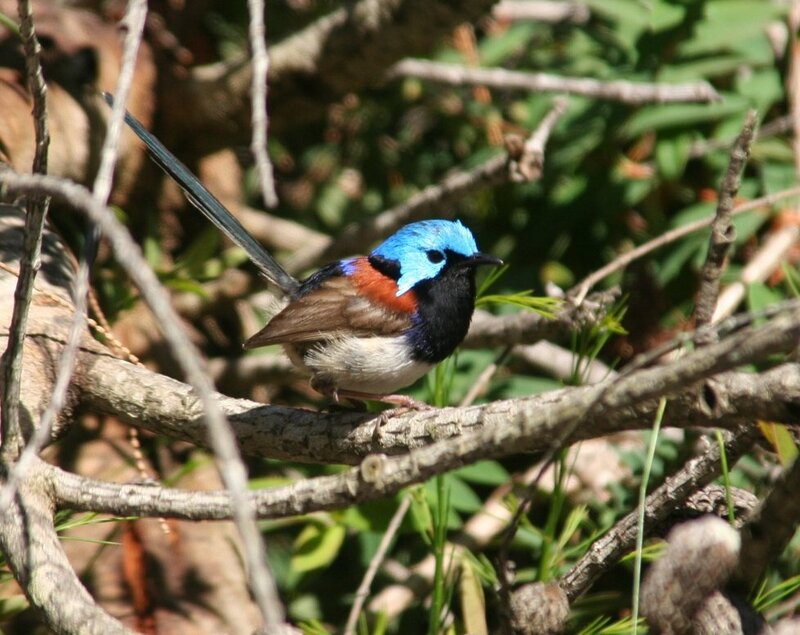 The two species common in Sydney are the Superb Fairy-wren and the no less fantastic Variegated Fairy-wren. They were generally quite confiding and did not seem to mind me standing around watching them. The only difficulties lay in the dense heathland vegetation and their extreme hyperactivity; they didn’t stay anywhere very long. But you could always hear them before you saw them and providing they were heading in the right direction once heard you could position yourself in the right place and wait. 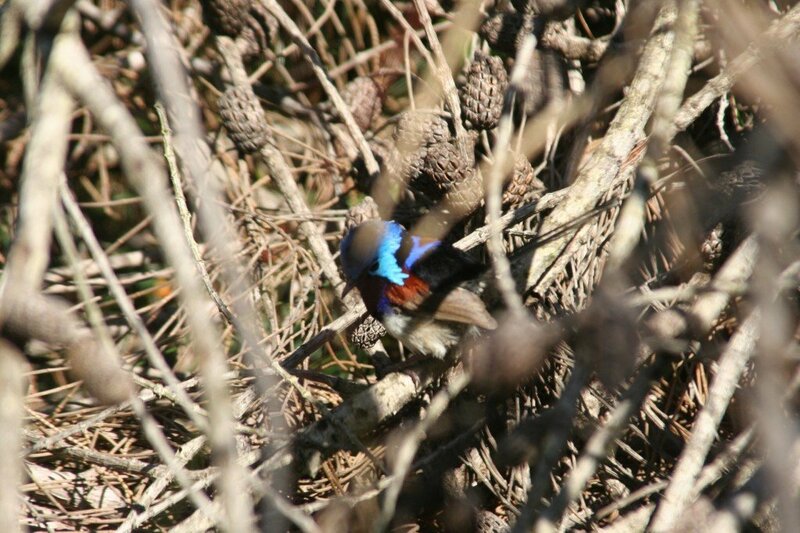 It was in such a way that I managed to get these shots of the Variegated Fairy-wren. 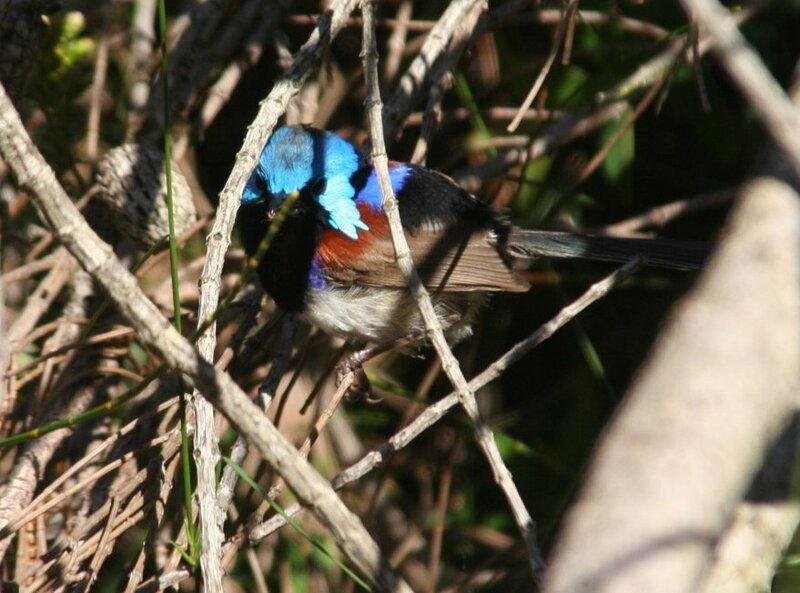 Fairy-wrens are sexually dimorphic in their plumage, with the males being brightly coloured and the younger birds and females being slightly or considerably more dull. They are also highly social, living as pairs with a number of helpers that aid in raising the chicks. 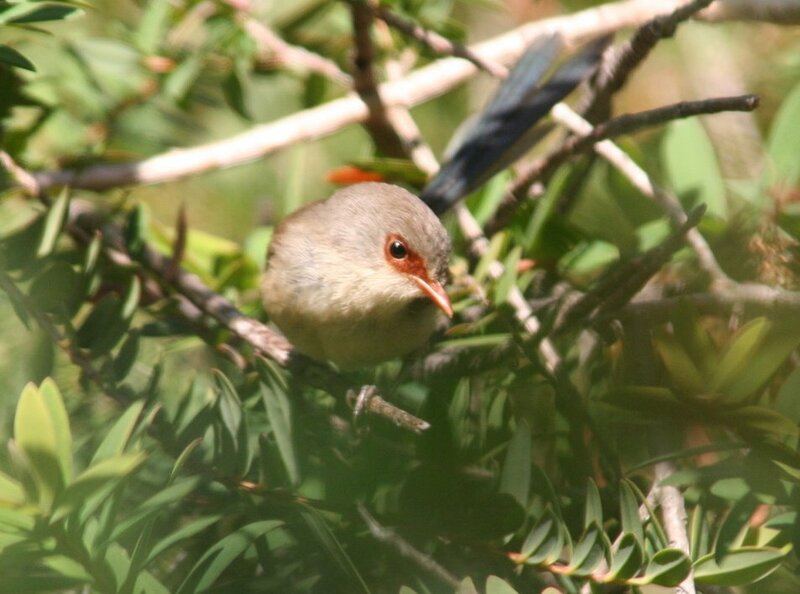 The Variegated Fairy-wren also shows a bit of variation across its wide range (it is found across most of northern and eastern Australia); the Sydney subspecies pictured is the nominate. The female has a duller blue tail and red around the eye. Wait long enough and you get the perfect shot! 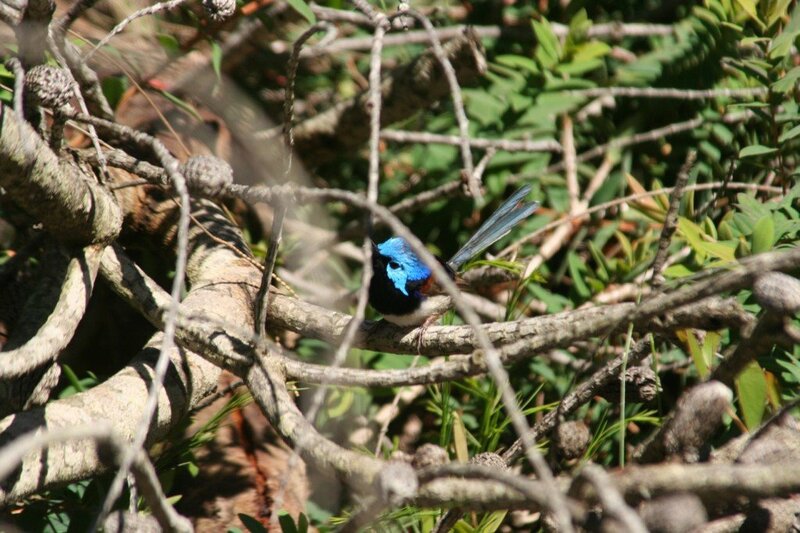 I was so lucky to see the beautiful Fairy Wren while in Australia last year. It is true they’re small and active and hard to get a good eye on them, but once you recognize them, they are fun to watch. Fabulous. That’s all there is to say. And they resemble Fantails, which never hurts. It’s wonderful when the image of the bird fits the name. I think the female is quite elegant, even if she lacks the wild coloration. I am now coveting Fairy-wrens and Pittas. Gorgeous! Would love to see one in the near future!